By Melissa Lennig on December 7, 2018 Leave a Comment. This content contains affiliate links. As an Amazon Associate I earn from qualifying purchases. 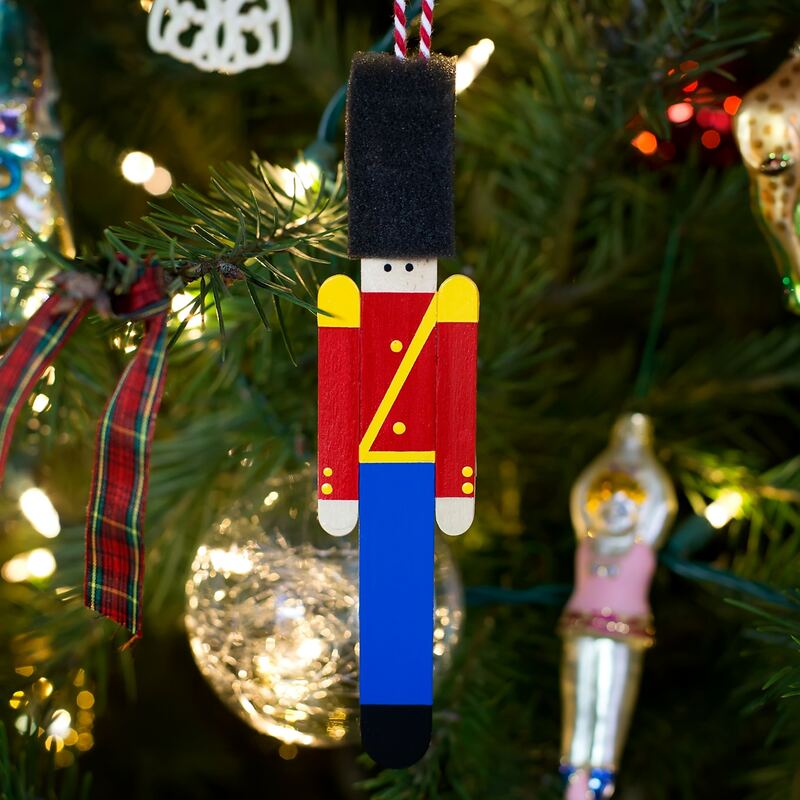 Christmas is the perfect holiday for nutcracker decorations! 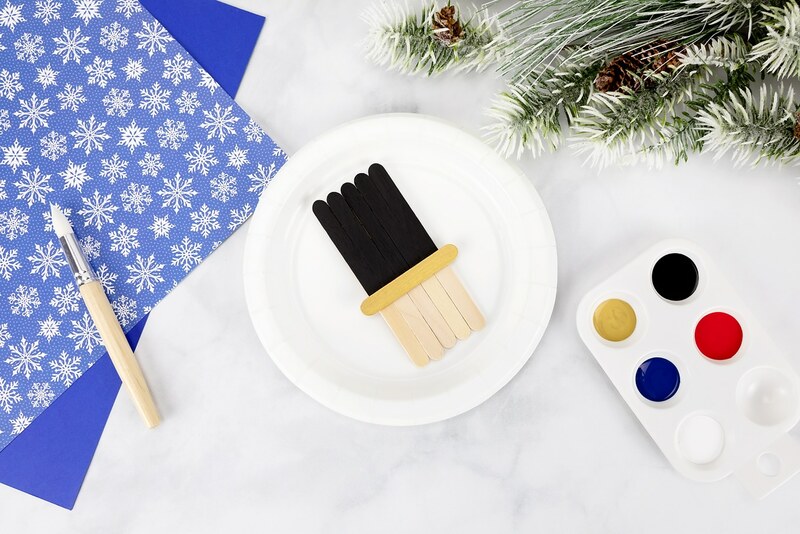 Made with craft sticks, paint, and basic craft supplies, this easy and fun wooden popsicle stick nutcracker ornament is a fun holiday keepsake for kids and adults to make. 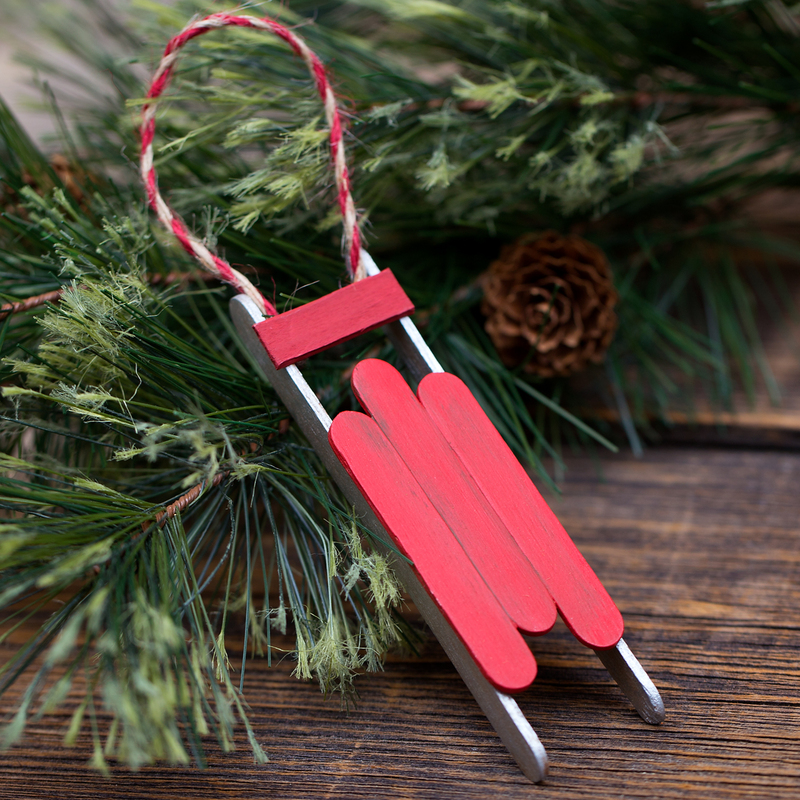 Every Christmas, my kids and I enjoy making easy popsicle stick Christmas ornaments to decorate our tree. 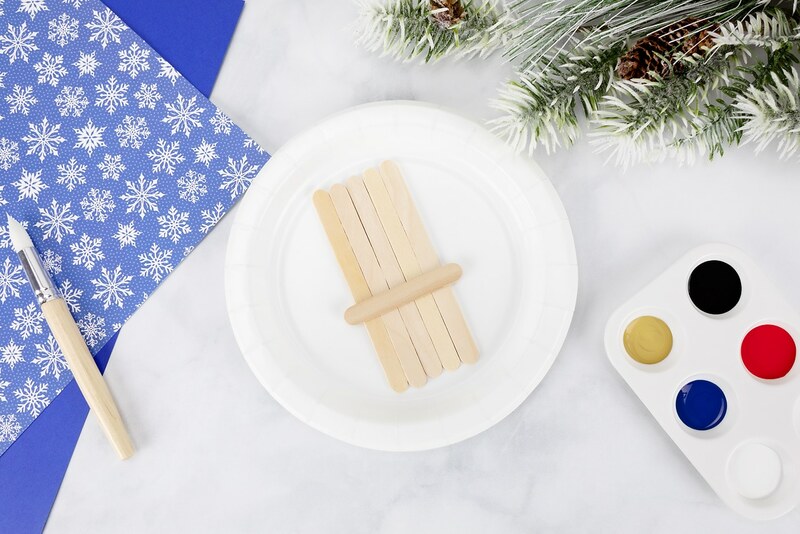 In anticipation of taking my boys to the Nutcracker Ballet for the very first time, we gathered around the craft table to make unique popsicle stick nutcracker ornaments. 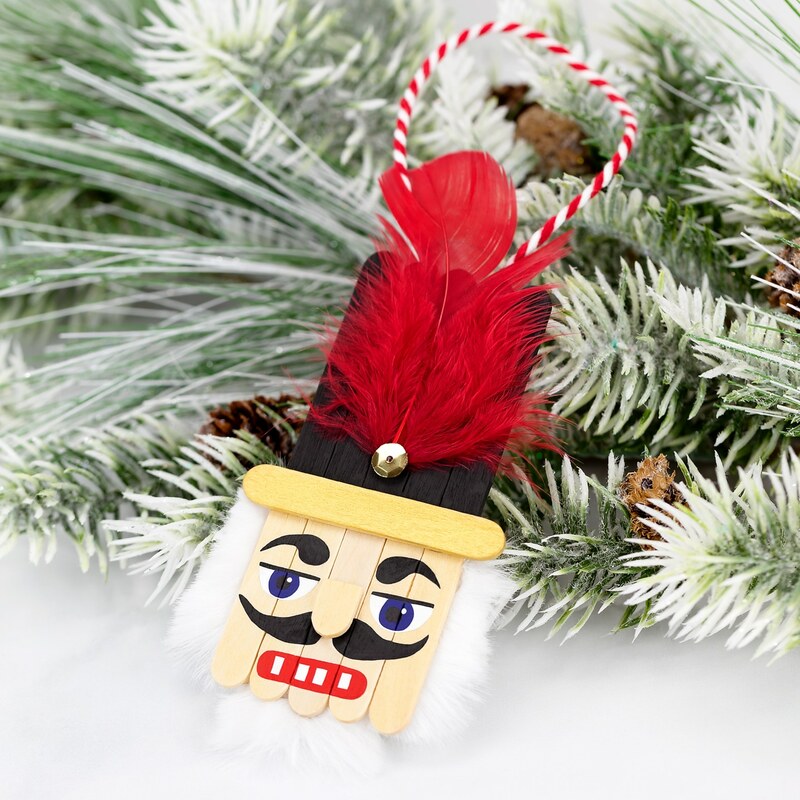 Inspired by our Steinbach Nutcrackers, this wooden nutcracker ornament boasts hand-painted details, faux fur, and a wooden nose. 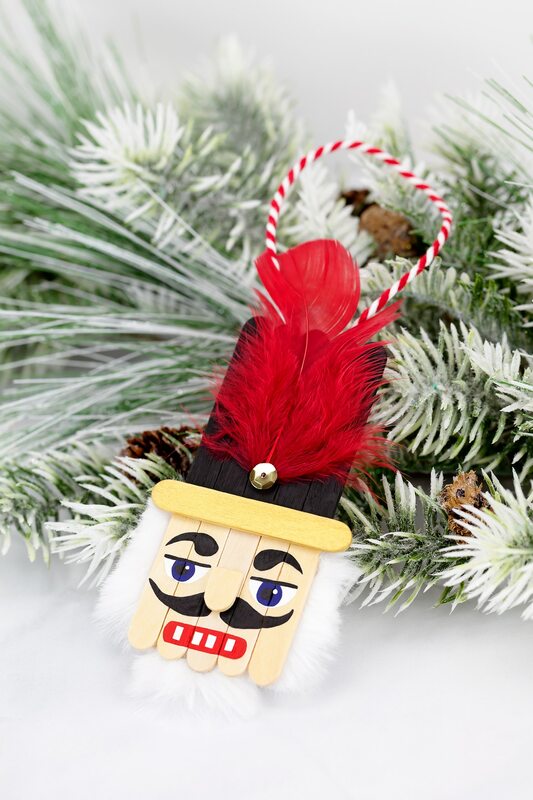 Christmas is the perfect holiday for nutcracker decorations! 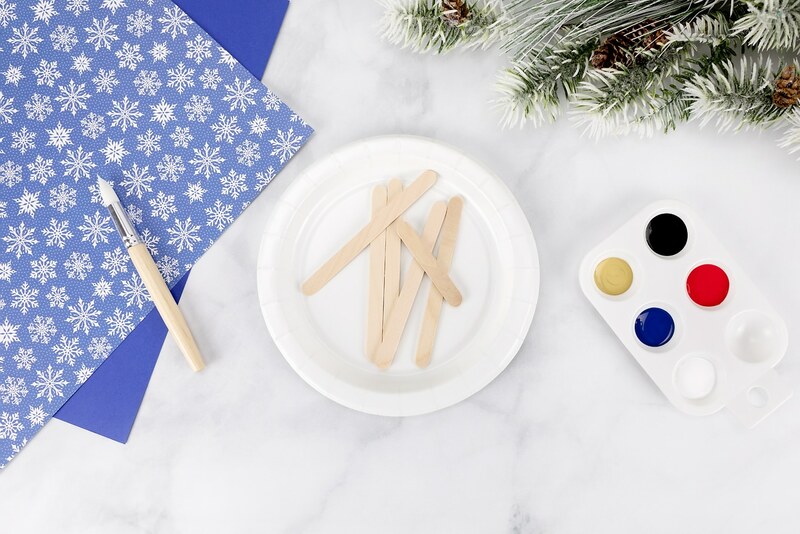 Made with craft sticks, paint, and basic craft supplies, this easy and fun wooden popsicle stick nutcracker ornament is a fun holiday keepsake for kids to make. 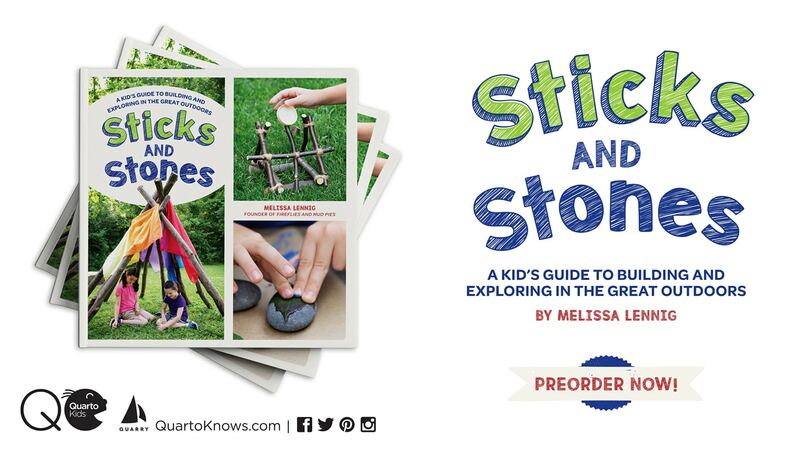 After gathering supplies, arrange 5 standard-sized craft sticks side by side. 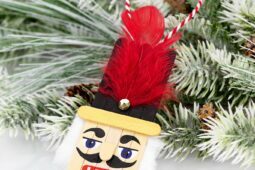 Hot glue a miniature craft stick on top of them to create the nutcracker’s hat and face. Paint the nutcracker’s hat black and gold. Leave the bottom portion of the ornament natural wood. Next, sketch the nutcracker’s face with a pencil. Use a fine-tip paintbrush to fill in the sketch with acrylic paint. When the paint is dry, cut a small portion of a craft stick to make a nose for the nutcracker. Secure it to the ornament with a squeeze of hot glue. Use the low-temperature hot glue gun to secure white faux fur to the sides and bottom of the ornament. Trim the fur until you are satisfied with the length. Glue a red feather and gold sequin to the nutcracker’s hat. Last, glue a loop of ornament string to the back of the ornament. 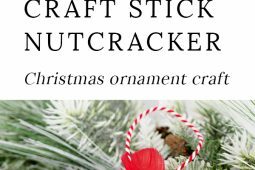 Your craft stick nutcracker ornament is complete! Next, sketch the nutcracker’s face with a pencil. Use a fine-tip paintbrush to fill in your sketch with acrylic paint. When the paint is dry, cut the end off a craft stick to make a nose for the nutcracker. Secure it to the ornament with a squeeze of hot glue. TIP: Soak the craft stick in water for 5-minutes before cutting it. The water will soften the wood and make the craft stick less prone to splitting. Use sharp scissors for best results! Use a low-temperature hot glue gun to secure white faux fur to the sides and bottom of the ornament. Trim the fur until you are satisfied with the length and shape of the nutcracker’s hair and beard. Glue a red feather and gold sequin or jewel to the nutcracker’s hat. Last, glue a loop of ornament string to the back of the ornament. Hang and enjoy! 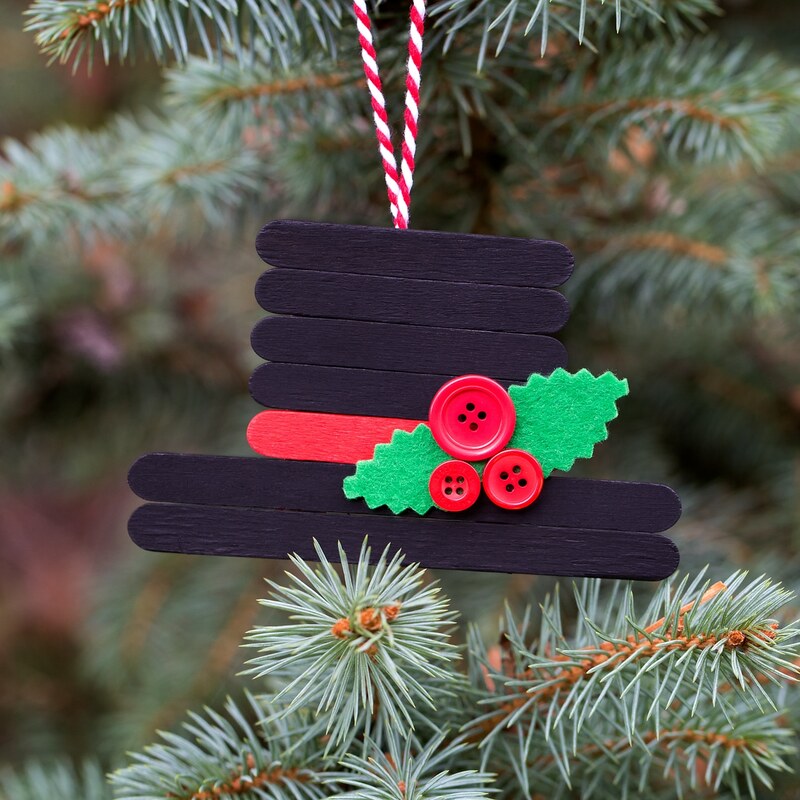 Click the images below to view more easy popsicle stick ornaments for kids!